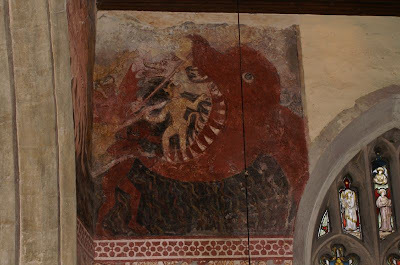 The above is a doom painting from the Wenhaston Church in Suffolk. 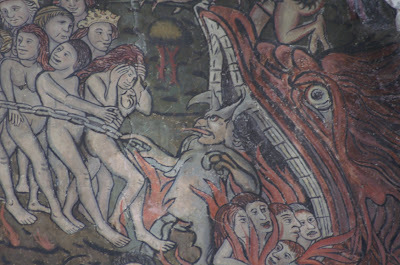 The doom style of painting shows the final judgement of souls after death, a more detailed description can be found here. 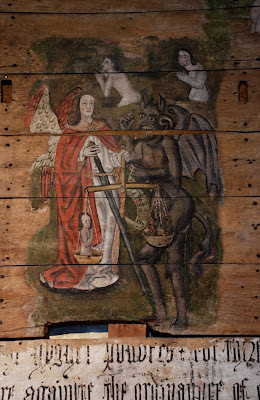 According to the SuffolkChurches site the doom painting was created between 1500 - 1520. 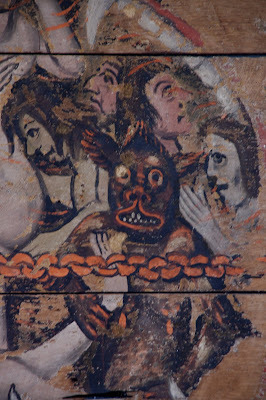 To see a photo of the complete Doom painting, check this Flickr listing. 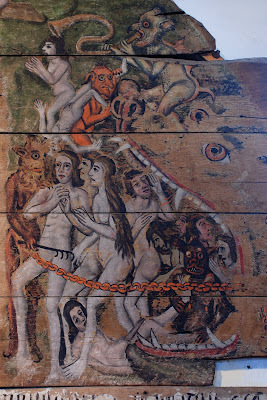 Check out this article at SuffolkChurches.com to read about this work which has an interesting history behind it. 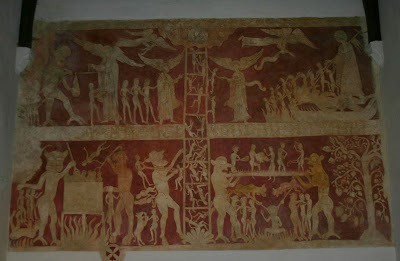 Details from Doom paintings located in Oxfordshire.. 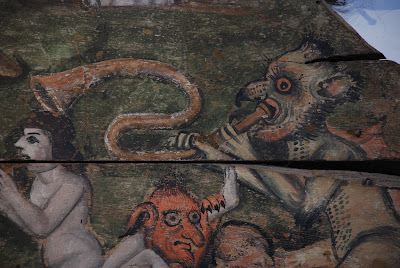 Detail of a Doom painting from St Thomas Salisbury, dated 15th century. 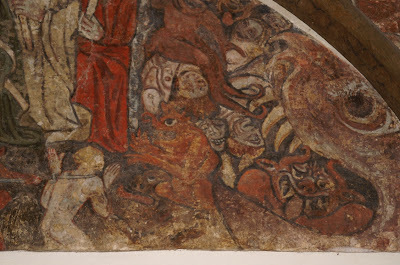 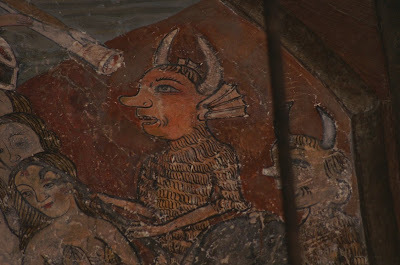 Another Doom painting from St. Peter's Church, Chaldon, Surrey, created sometime before 1200 A.D. Keep clicking on the images at this site to see zoomed in versions of the work.